Hi friends! We want to touch on why influence has so much power, why it’s so important, and why we focus on it. For starters, if you want to read who influencers are and our thoughts on them, you can check out our previous blog post here! While we all know, love, and follow our favorite influencers, their power to influence is huge. We briefly dove into how we all look towards influencers for reviews on products and advice and how their relatability makes them so popular amongst so many people, but how can they really get the most out of their growing following and platforms? Influencers have a huge amount of power and following, which allows them to influence others’ decisions. How they act online, what they promote, the clothing they wear, etc., influences hundreds, thousands, and sometimes even millions, depending on their following. Think about it right now - who do you look toward for fashion inspiration? Who do you see or follow online and think you would like to obtain some of their personal qualities? And who do you look at and wonder why they have a following because they aren’t doing anything good online? I’m sure a few names came into your mind thinking about it, because I can pick out an influencer in each of those categories I just mentioned. For me, Jaci Marie Smith has an incredible style that I wish I could replicate in my closet. Tara Massicotte shows off her real self in her YouTube videos and I would love to be friends with her. For the person that isn’t doing any good with their influence, we won’t name because we only want to focus on the positivity that influence can bring! How Can Influencers Bring About Positivity? Influencers have a lot of power over so many people that many of them may not understand the responsibility of their impact when they begin influencing. 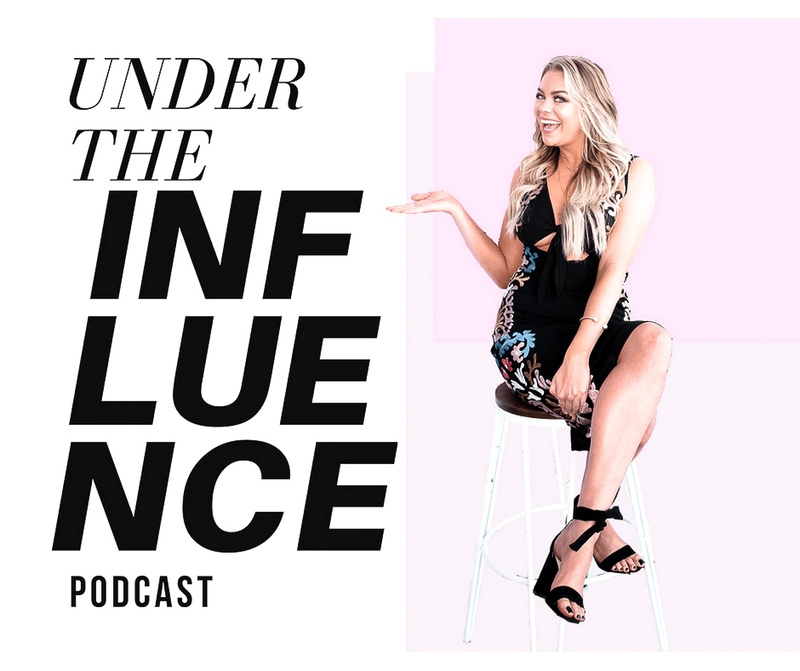 Creating a personal brand, whether it’s through being a YouTuber, influencing on Instagram, or being a blogger, these influencers all have similar “jobs” when it comes to influencing. One of the biggest things that influencers should focus on is what kind of impact they can make on their audiences. This is showcased through what type of content they put online and if it’s positive or not. Influencers should want to inspire and empower those who follow them, to follow their dreams, to create something out of nothing (a business, a brand, etc. ), or just to be a better person in general (yes, there’s a ton of other things they can influence on, but these are a few big ones). They can bring about positivity by giving back to their community and showing their following what they’re doing. This can inspire others to do the same, which is incredible because giving back to those who are less fortunate not only feels good, but really shows the light in someone’s character. If you can empower even just one person to be a better person and to shed light and positivity towards another, then why wouldn’t you? I think influencers have the perfect platform to promote all types of positivity to their audiences. What comes along with being a positive influence on one’s community and audience, is the ability to market brands. So many influencers are now becoming the face of a brand, collaborating with brands, and promoting products for brands. When brands are looking for someone to help market their products, of course they’re going to pick those who are showcasing good in some way. Whether they are a great role model, they’re constantly give back to their community, or they’re inspiring others, brands are going to want those positive people to be associated with their company, which in turn promotes the brand in the same positive light as that influencer is seen. Influencing is more than just posting pretty photos on Instagram or well edited videos on YouTube. It’s all about being a good person, being a role model, and showcasing positivity in all aspects of life. Of course influencers aren’t meant to be positive and happy 100% of the time, that’s extremely unrealistic; they’re normal people too and can have bad days, but how they address bad issues and unfortunate times also shows who they are as a person. Being a positive influence on others can make a huge impact on the world and create a chain of positive people and empowerment for people to do good. So what should you do today? Focus on the positivity, unfollow those who are negative or make you feel bad about yourself, and instead, follow those that empower you to do something good and those that make you want to better yourself. That is the power of influence.